A meltdown or creative destruction? Discussion, on and off line, surrounding a previous blog included references to a “meltdown” in competitive intelligence activities in the 2008-10 period. I am not sure that there was a meltdown. Many businesses, during the period from 2007 through 2010, downsized or even closed CI units. But they took similar draconian, short-sighted, steps with respect to market research, human resources, strategic planning, business development and [here fill in the name of any other division where you know that heads rolled for cost-cutting reasons]. I do not think this represents limitations or even failures of CI as a process. It is more likely an indication of limitations or even failures within US economy, global economies, and governments’ involvement in economic matters, as well as the ongoing creative destruction, a hallmark of capitalism. This is not the first time that an emerging business discipline has been characterized as being in a “meltdown”. In its earliest stages, strategic planning took off with an almost ballistic trajectory, leading to the creation of large, freestanding corporate teams across the board. There then followed the usual over promises and, the inevitable corollary, under deliveries. Strategy units were downsized/eliminated, and the professional society supporting and supported by strategic planning closed. But strategic planning as a discipline did not vanish. Strategic planning made a comeback, but not at the scale and with the resources that it once possessed; rather it became, more integrated into general management. That is, a good manager, at whatever level, was expected understand the basic concepts of strategic planning and to be able to contribute to and be guided by the plan in his/her enterprise. And there is now another association, ASP (the Association for Strategic Planning), supporting strategy. I think CI is going through that right now. There are many people, many more than a decade ago, who are line managers, whether it is in marketing, sales, product development, planning, finance, or whatever, who have CI responsibilities and/or tools available to them. And that is due to the development of CI as a separate discipline. 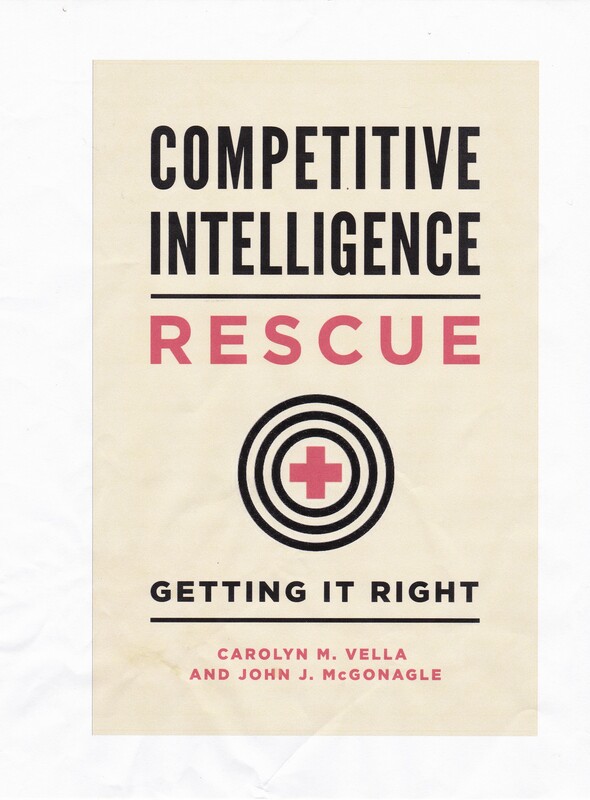 That does not mean competitive intelligence has vanished – rather that it is morphing. If anything, it may not be as visible as it was in, say 2000, but it appears to be more widespread with deeper roots. The challenge now is to make sure that you and others understand what CI is, how to do it properly, and how to utilize it. Also, as with strategic planning, you have to learn when to go outside for help and what kind of help to seek. In other words, what not to do. In the interest of full disclosure, Carolyn M. Vella, my significantly better half, predicted much of this for CI in her keynote address, “The Rapid Development of Competitor Intelligence: Putting it into Perspective”, Society of Competitor Intelligence Professionals, Keynote Speaker, First Annual Meeting, Washington, DC., 1987. Thanks John for your enlighten post. It is important to have a discussion about your views, which are adding value to our understanding of CI. I do not share your view about business strategy. It is very much relevant to the current business world, and you do not find a good business school that is not teaching it. see how popular is the Journal of Strategic Management and the Strategic Management Journal and the societies associated with them. CI is now in a stage where it has to find its position in the academia embedded with business strategy. There is a slow move towards it in Israel and in other countries. If it does not become part of business strategy as Intelligence is part of national policy making, it will not last.